AN autism ‘passport’ has just been launched to help hospital staff working with disabled patients. Backed by the Department of Health and NHS England, the passport contains personalised information about an individual and vital details about the condition. Leo Capella has Asperger syndrome and was involved in the development of the passport. He said: “I believe that the autism passport has the potential to help a lot of people on the autistic spectrum be treated with respect and accuracy in hospital. 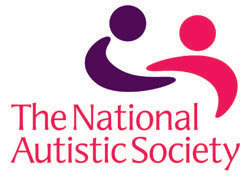 Baroness Angela Browning, a National Autistic Society Vice President, said: “This will make a real difference to people with autism. “We can all find it difficult to communicate well with doctors, nurses and other professionals at times when we feel vulnerable and confused. But these difficulties may be magnified for people with autism, many of whom can find even day-to-day activities such as shopping or using public transport overwhelming. “Their specific social and communication needs may not always be identified correctly in a busy hospital setting.